We haven’t seen a whole bunch of Smoker this spring or his career for that matter, only 6.1 innings in ST but Smoker is eyeing for a role in the pen where it’ll be a normal thing to see Smoker for 6 innings every 2 weeks. However, I do also see Smoker as a pitcher that could be used in a higher capacity & that’s something I would prefer to see. I’m far from a scout but Smoker has a great looking fastball which needs to be better located. He’s given up 4 HR’s in 15.1 career innings which will statistically back up that claim. He also has the ability to miss a lot of bats as he struck out 25 batters in that same span & that’s a skill any bullpen would want. In my opinion, lefties out of the pen are only as successful & effective as their secondary pitch, especially while facing left handed batters. Smoker throws both a curveball & slider & I wonder if the Mets coaching staff suggests he ditches one, in efforts to focus on & strengthen that secondary pitch. Smoker is having a good spring using a much improved breaking ball. This encouraged me a lot as Smoker’s main issue was the inability to get the lefties out in 2016 for the Mets. With an improved breaking ball Smoker has top relievers stuff. He features a high 90’s fastball and is succesfull against Right handed hitters thanks to a solid splitfinger change-up. The strikeout numbers are impressive as he struck out 14.7 per nine in 15.1 innings pitched. Smoker also has to improve his placement of his fastball. He left some fastballs in the heart of the zone which were crushed. Also Smoker likes working lefties on the outside part. He needs to throw a bit more inside to keep the hitters honest. Biggest thing with Smoker is how he has to be used. Smoker isn’t a lefty specialist and should be used as a full inning guy getting both lefties and righties out. 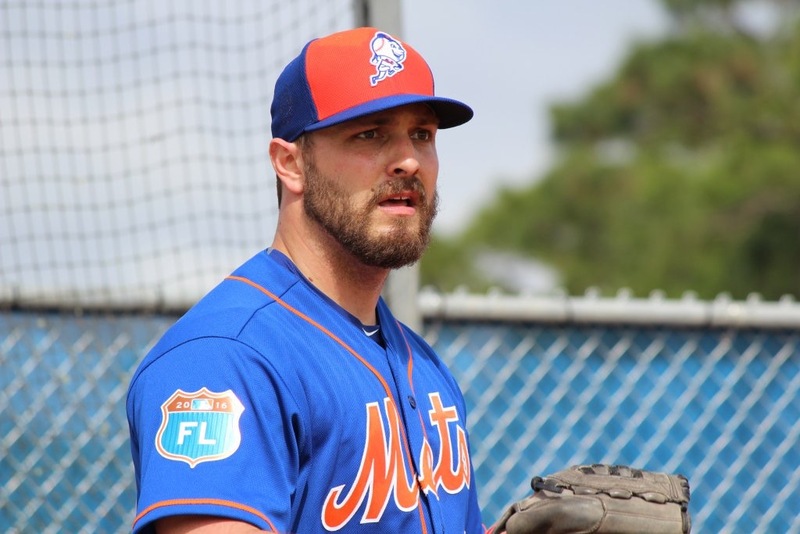 I expect a huge season from Smoker as a vital part of the Mets pen. With an improved slider he could be a real dominant reliever for years to come. I mean the stuff is there.